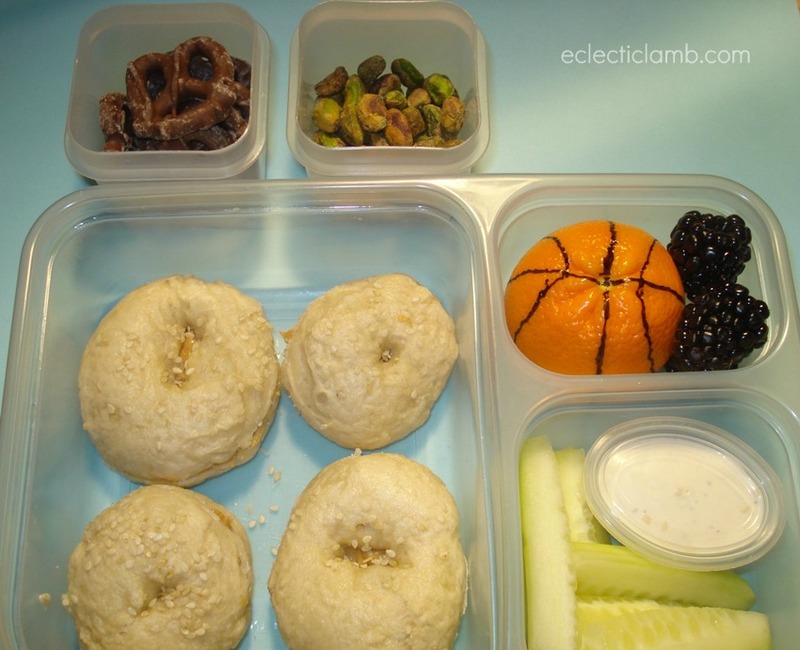 I created this basketball themed bento for my 15 year old nephew. I had thought that he would not want a themed bento but he did not care as long as it tasted good. I was happy to work with a theme. 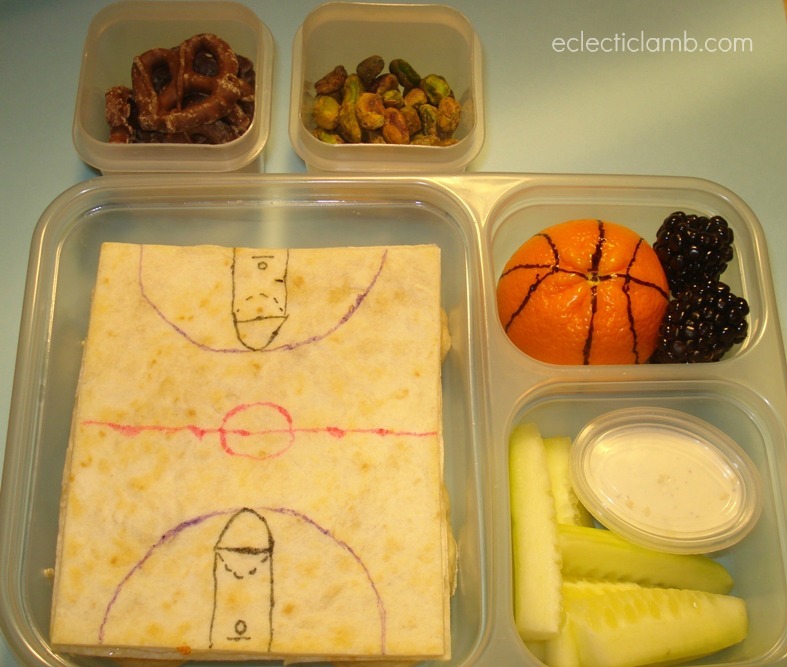 Very cute basketball bento, I am sure he loved it! Yum!!! I would love to try your homemade sesame bagels. Great theme idea.